For Indoor Driving Trials (IDT), a course is designed using driving cones and balls. Competitors walk the course and then drive it, trying not to dislodge any balls (each ball on the floor + 5 penalties) and keeping within the specified time limit. Either a 2 or 4 wheel carriage can be used (specific width for IDT) and a groom must be on the rear of the 4 wheel carriage for stability. 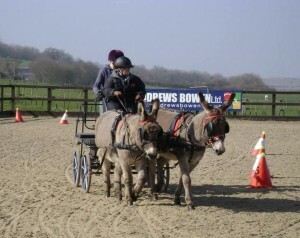 Donkeys and their owners enjoy this activity as it is totally different and you always get a good cheer from fellow competitors. 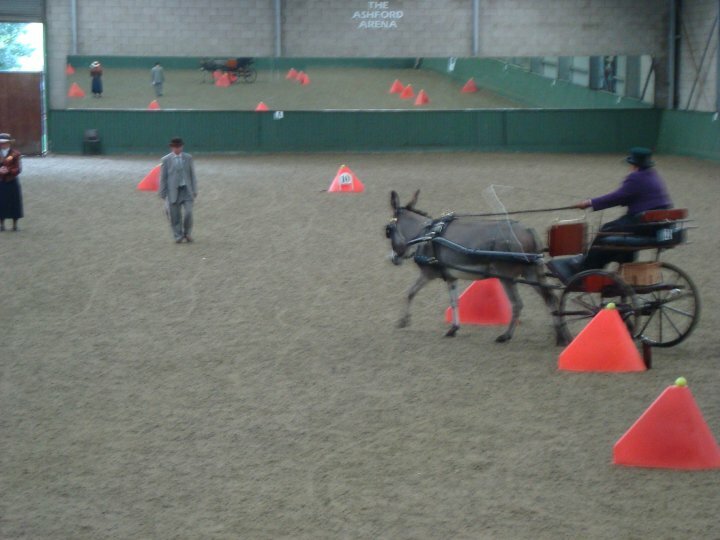 A cones course can be set up at home with just a couple of cones, perfect for a training opportunity, making you and your donkey learn a new skill. Obstacle Driving – many perceive as the ‘most exciting phase’ completed in the IDT. Post & railes (gates) are negotiated in order A,B,C,D,E. Two obstacles are built in the ring with a common start/finish gate. 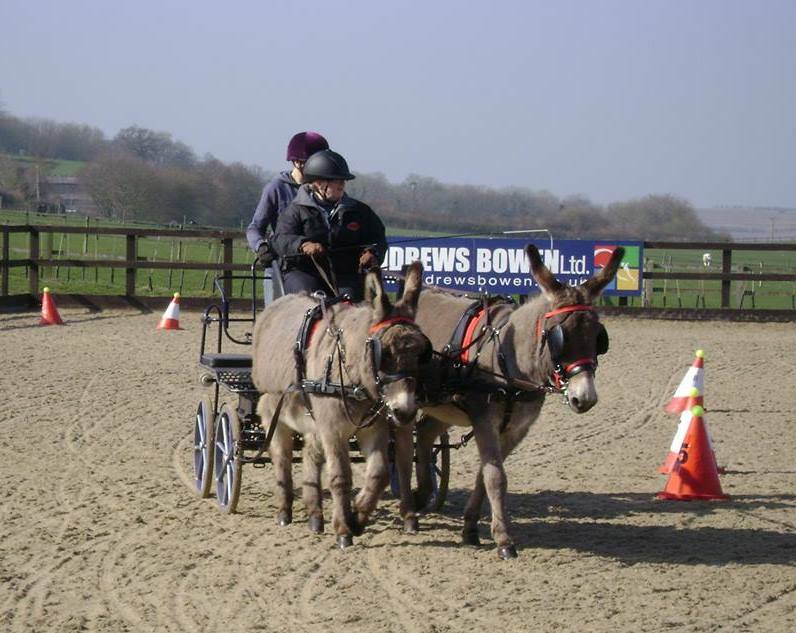 Competitors walk the course on foot & then complete the course against the clock, donkeys can complete this activity but as they are not as speedy as their equine cousins, their times can be a little slow.